Light and Bright updated 1st floor condo in Jefferson Village. Move right in to this very well maintained home. Features include fresh newly painted interior, appealing laminate wood flooring throughout, open living room'/dining room layout plus a spacious bedroom with a wall of closet space, and a large bath with laundry. Heat and Hot Water included. Newer Furnace & Central Air. Step outside to an oversized patio & yard. Parking available just a few steps from the front door. Additional storage space included in common area. Enjoy the carefree lifestyle at this beautiful active adult community featuring a remodeled clubhouse, fitness center, social activities, community gard en and so much more. 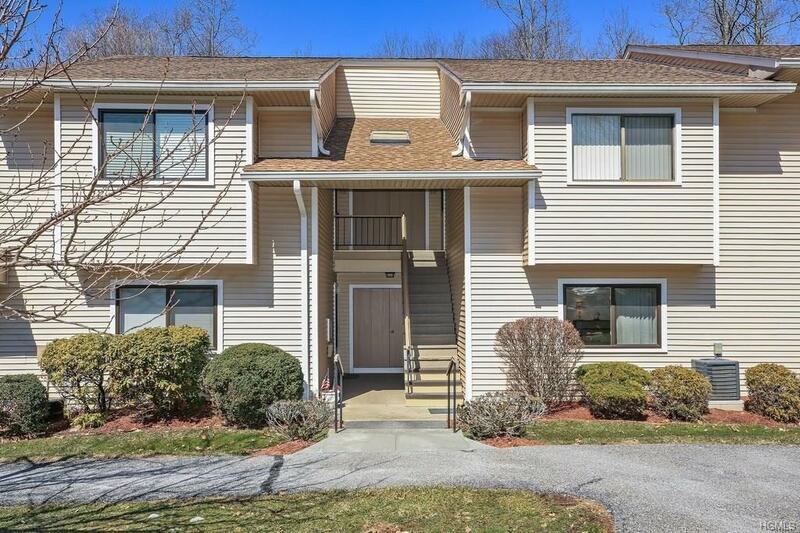 Convenient northern Westchester location is close to the shops, restaurants, parks, mall, and parkway. There is an assessment fee of an additional $92. /month til 9/2022 for recently replaced roofs. New $1000. capital fund fee due from buyer at closing. Location, Location, Location!! Listing courtesy of Kathleen O'driscoll of Houlihan Lawrence Inc..